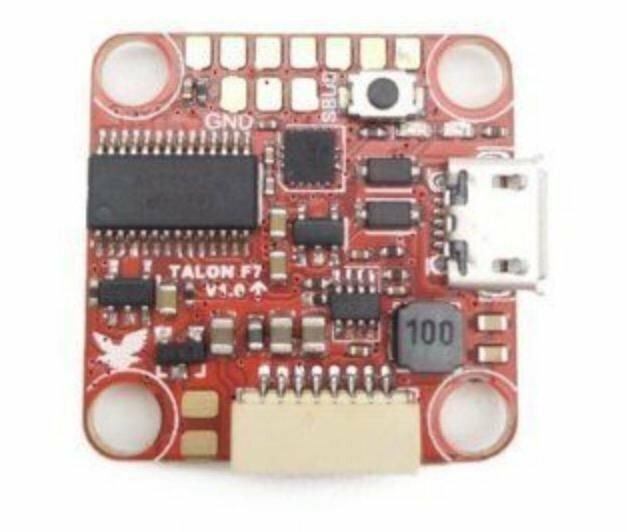 This is a next gen. flight controller featuring the STM32F405 processor and MPU6000 gyro. The advanced F4 processor gives this FC incredible precision and control while in the air. 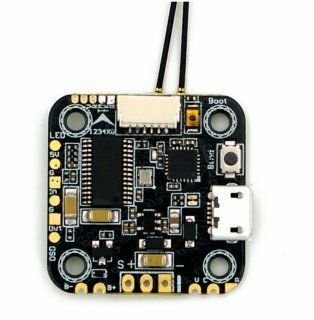 This flight controller includes 3 UART connections with SBUS, PPM or Serial RX and has a 3.3v output for Spektrum receivers as well as a hardware boot button. 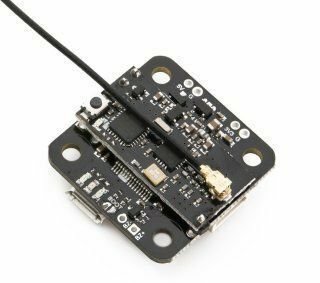 The board has been designed around the popular CC3D Revolution target and is fully support by RaceFlight, BetaFlight and CleanFlight. 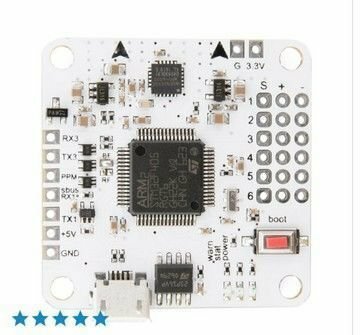 It comes preloaded with BetaFlight firmware. 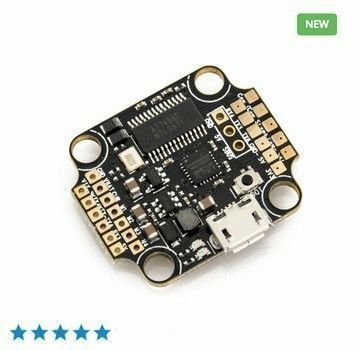 Support raceflight and betaflight firmware, default is BF. Based on the CC3D Revolution and designed by Bob Forooghi (FPV Kabab) in collaboration with Sunrise Model. I'm updating my review to 5* because this FC works great. Problem is they say to use UART1 with spektrum sat, however this will not work since UART 1 shares the USB port. Switched to UART 3 and this board is on rails. Highly recommend! Especially for the price!! 4.Great FC for the Mula! Had this up and running in 20 minutes. That's soldering pin headers too. Super simple! Taranis is UART 1 and mapping is TAER1234. which is odd. But, works as it should with sbus. Ordering more while they're in stock. Great F4 with mpu6000 gyro. 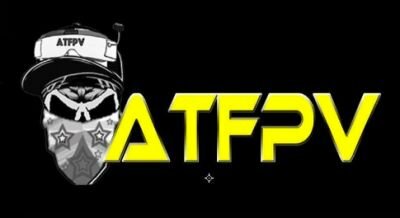 Perfect replacement for any F3 with mpu6000. Finally we aren't limited by the processing power like an F3 @ 8k. Probably the most simple layout ever. Reminds me of Naze rev5. It has a 5v rail, 3.3v output for spektrum sat rx, sbus and much more. Been flying this FC for almost 2 weeks now and it has been great.